An outdoor fireplace will add atmosphere, warmth and a great entertainment feature to your home. It will be the perfect focal point in your backyard landscape where family and guests love to gather for parties, dining and cozy conversations. With proper backyard fireplace maintenance, an outdoor fireplace will provide years of outdoor enjoyment. Any outdoor fireplace can have problems. Exposure to outdoor weather conditions and changing climate conditions can cause various problems, especially over time. Look at some common problems that occur in outdoor fireplaces. Settling – Outdoor fireplaces are subject to constant ground movement and soil compaction. Even though the fireplace is built on a patio or terrace, the concrete foundation of the patio or terrace can crack and shift as well. In cold winter areas like northern states, the ground readily freezes, then thaws again, causing water in the soil. Over time this process causes the ground to settle and compact resulting in an unstable outdoor fireplace. After loosening creosote, check its thickness. If you see that it’s thin, 1/8th inch thick, the chimney needs to be cleaned by a professional. If the creosote is thicker than 1/8th inch, don’t use your outdoor fireplace until it’s thoroughly cleaned. You could start a fire. If your gas fireplace has an exhaust fan, be sure that it is working properly always. Make sure your ventilation system is operating properly always. If not, have it inspected by a professional and make repairs if necessary. Turn off the pilot light during months when your fireplace isn’t being used. For long-term enjoyment and safety of your outdoor fireplace, talk to your landscape contractor for proper outdoor fireplace care and maintenance procedures that are best for your home. Homeowners of all types will find that landscaping is one of the great things that can be added to a home. If you have purchased a house recently, or you have lived in your home for some time, you may want to look into upgrading the landscaping that you have. There’s a lot of reasons why this matters, especially when you hire a professional. The designers that specialize in this can transform your home from being just another property on a block and transform it into a special place. If you want to stand out, or simply want your home to feel even better than it is, consider a few reasons why you should hire a designer that works with landscapes for your property. If you have a nice patio or backyard, and haven’t looked into landscaping or water structures, you should really consider focusing on this upgrade. You can easily add ambiance for your home’s entertaining. You could invite friends, family and more, and have seats around a cozy fire, surrounded by natural elements, including water structures that flow with natural sounds. There’s peace found when the sun sets on these things, and during the day, you’ll find that having natural resources makes a great option for living and entertaining. There’s something special about a well landscape yard, especially when it comes to entertaining overall. One reason why people invest in landscaping is because it changes the way that their yard looks. You can make something that looks amazing, and change the overall visual appeal of your home’s exteriors. A well-manicured lawn is great for curb appeal, but what about your backyard? You could create a labyrinth of special elements and make it the most peaceful place at your home. You could sit out amidst nature, and get a visual flow that is going to make you feel like you’re on vacation, even though you’re at your home. Your backyard could feel like a million bucks, even though you’ve spent far less on it. Want to get away from it all? Well, with the help of a professional landscaper, you could very well create something that lets you get away from it all. Grab a drink, a cup of coffee, or simply just go lay down and watch the stars amidst flowing streams and green areas for a moment. You’ll find that this could very well change how you view your home, and will absolutely help you create an oasis from the world that can be quite hectic at times. The job of a landscaping professional is to make sure that your home becomes more than just a place where you live, it can become a place of pure tranquility when you need a rest from work, school, and the rest of the stresses of life. Do you have a deck? Perhaps a pool or a patio? If you have these things in place, and you don’t have much in the way of design outside of them, you’ll want to pursue landscaping solutions of all types. In fact, you’re going to find that professionals can frame these areas with amazing options, from trees to grasses, to flowers and more. By adding some nice touches, you’ll find that you can easily make certain that these areas look far more appealing than just having them left alone. Whether you want to sit back and read on a sunny day, or you want to invite your friends, neighbors, and family, the accents that you can build with the help of a professional are great to pursue overall. Not everyone is thinking about selling their homes. But there may be a time when you want to sell things. If you want to sell your home one day, you’re going to want to pursue options that will raise the value of your property. Well, that’s where a professional can help you out. By having a pro come through and install plumbing, add water structures and more, you can raise the appeal of your home. When someone comes through to tour your house and see if it’s a place where they want to live, they may fall in love with the updates. There’s something grand about a home that has great landscaping, and you could get more than the value of your home, especially when someone falls in love with the way that things look and feel outside. What are the benefits of drainage correction? Drained land will lower your unit cost of production and help you compete in the marketplace. Drainage is a best management practice. It reduces soil erosion and assists in the reduction of phosphorus in streams. The benefits of land drainage are many and depend on the condition and management of the farm after the work is done. For corn and soybeans – expect about 35 – 50% increase in yield compared to the same crops in undrained soil. 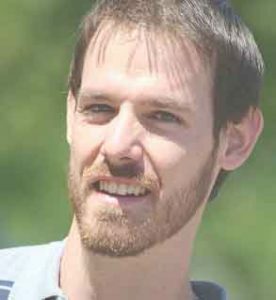 For hay and pasture expect about a 30% increase in yield. Grazing periods are extended two to three weeks in the fall, thus saving on barn feeding. Well-drained soils carry more livestock per acre with less damage to the soil compared to poorly drained soil. Tile drained soils create uniform field conditions for early field work. Tile drained soils are essential for no-till agriculture on any soil type. What will it cost to drain my land? The following tables may be of assistance in making a preliminary estimate of the quantity of drainage pipe required for a drainage project. The table gives the size of main drain required to drain an area, when the drain is laid at a specified grade and is flowing full. For example, an 8-inch drainage pipe, laid at a grade of 0.10 feet per 100 feet will drain 16 acres. Your contractor will provide the information for a specific situation. Landscape contractors – your project, our talented designers and our professional crews have one mission: to get you the new landscape you want and make you exceedingly happy! Our designer will work with you through the entire process, and our crews will deliver timely, dependable, and focused service. We want Landscapes Pro to be the only call you ever have to make again for your landscape needs! When placed where it can be easily seen from your interior living space, it can be enjoyed from the indoors as well. There are many options when it comes to the size, shape and style of a fire pit. You can have a built-in fire pit installed, or you can purchase a portable one that can be moved about your yard. If opting for a built-in fire pit, you’ll be able to choose from a variety of outdoor finishing materials including concrete, stone and brick. And remember, fire pits don’t have to be round-they can be square, L-shaped, triangular, or an entirely custom shape. When you choose pavers for your driveway paving project, you can rest assured that you’ll get your money’s worth. 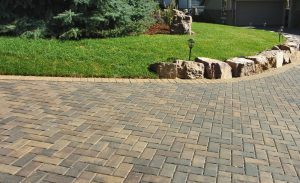 high-quality driveway pavers look great and are also designed to withstand the heavy wear and tear of cars, trucks, RVs, and more. Traditional materials, interlocking driveway pavers are designed to endure dramatic shifts in temperature and humidity without cracking, chipping, splitting, or buckling. No matter where you live or how harsh the effects of the weather may be, your pavers driveway is guaranteed to withstand the elements year in and year out. No other solution can provide the all-climate performance that is offered by our paving stones. Whether you plan to sell your home or keep it for generations, a paver driveway surface will provide quality and long lasting results that will quickly become the envy of your neighbors. A number of the streets in many cities were recently refinished. They sure look nice. And nice to drive on, too. Smooth is the word. 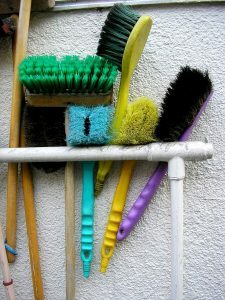 The only drawback is that, by comparison, your driveway may not look to nice anymore. When the streets are filled with potholes and cracks it was easy not to notice that your driveway was full of cracks and potholes, too. It would be the same thing if your neighbor put up new siding on their home; you’d suddenly realize that your house could use a paint job or some siding, too. To rectify the problem, you could go out and hire a paving company to tear up your driveway and pour some asphalt. But, as long as you’re doing something about it, why not choose a solution with style; why not choose to have your driveway replaced with brick pavers. A brick paver driveway is a perfect fit. Brick pavers are durable and, aesthetically, they’re the pinnacle of style. Brick pavers have style where asphalt is the absence of style. That’s a difference that will probably show in its effect on the value of your home, too. From time to time, a brick paver is known to crack. But, instead of tearing up the driveway and replacing the asphalt, you only have to replace a brick paver or two. In other words, a brick paver driveway can last you, not just years and years, but decades. In terms of character, a brick paver driveway laid out in a straightforward pattern is rich in style. However, the potential with a brick paver driveway goes way beyond that. Why? Because you can create different patterns. You can use different types of brick pavers – different colors and shapes. The number of designs that are possible with brick pavers are limitless. 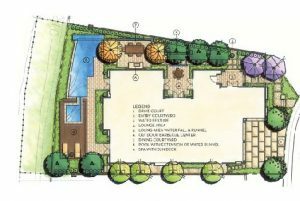 A landscape plan is like a floor plan for an outdoor area. 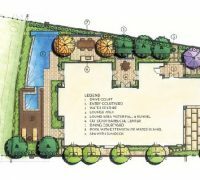 Landscape design creates a visual representation of a site using scaled dimensions. Include natural elements like flowers, trees, and grass as well as man-made elements such as lawn furniture, water features, and sheds. Landscape designs may also include overlays for irrigation and lighting. 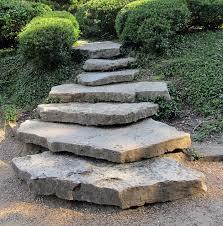 Creating a landscape design helps in the decision-making process for selecting materials. It also gives the contractor better tools for cost estimation, helping to ensure the project can be completed properly. Create the outline. A design plan begins with a broad overview of the area. This is your basic outline to which you can slowly add elements. Decide on the area to be depicted in the diagram. Add existing features. Add any rocks, waterways, buildings, poles, slopes, etc. that cannot or will not be moved during the landscaping process. Be sure to use the correct symbols and colors for these as well. Create ground cover if needed. Fill in the area with the appropriate type or types of ground-cover (such as grass or asphalt) that will be installed. Apply textures for a more accurate depiction of these areas.